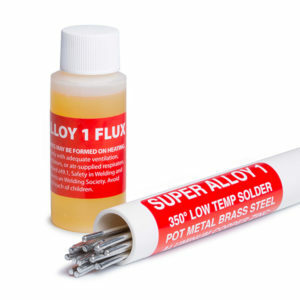 This video demonstrates how to solder copper tubing to copper plate with Super Alloy 1 rod and flux. Pre-clean the copper, then add flux. Next, heat the parent metal until the flux begins to bubble and turns brown, indicating that the copper is ready for the solder rod. When finished, allow the part to cool, then clean the flux off with water and a wire brush.